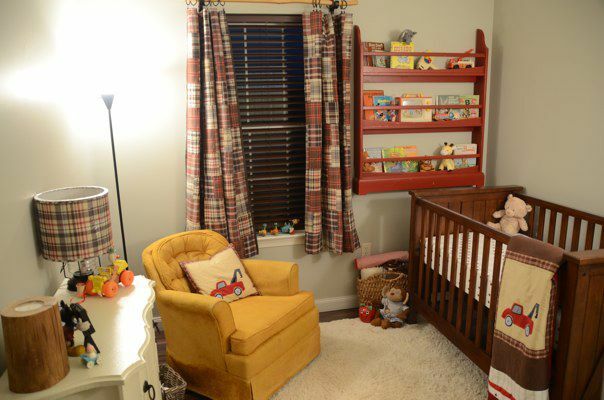 I know some pretty cool peeps that are expecting their little one any day now and they just completed his nursery. 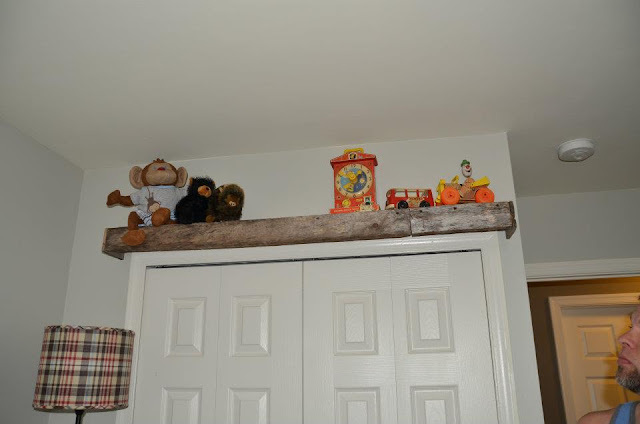 Its vintage inspired and many of the toys belonged to them when they were tots. The colors and theme are just plain cool, but I would expect nothing less from those two. 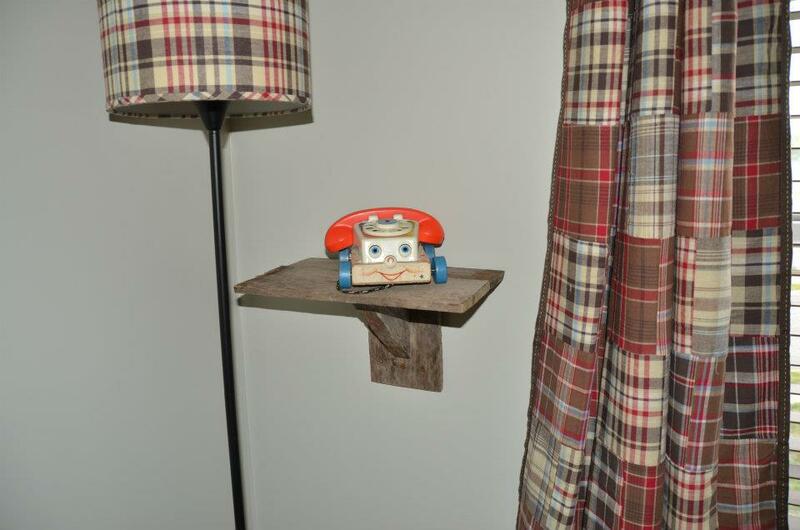 I had that Fisher Price phone too! 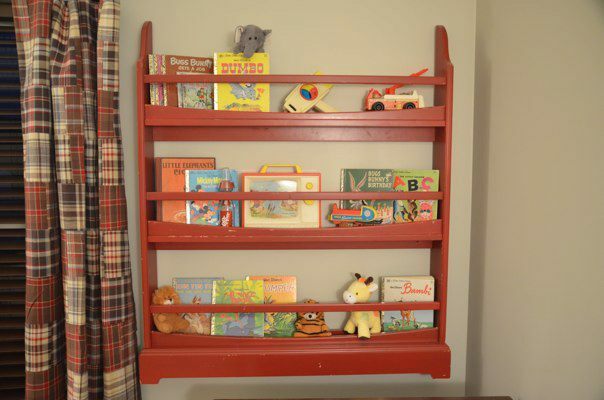 Old books and Fisher Price toys. 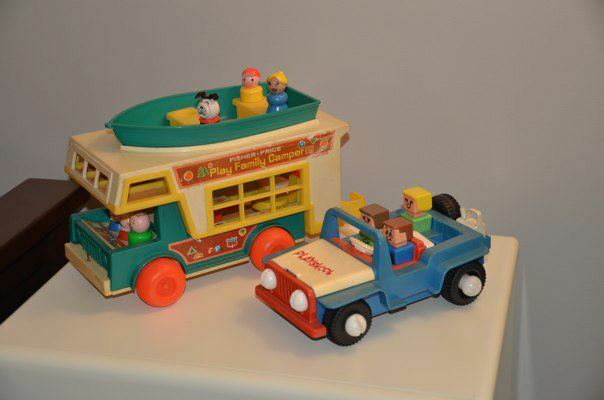 More Vintage toys. Some are thrifted. 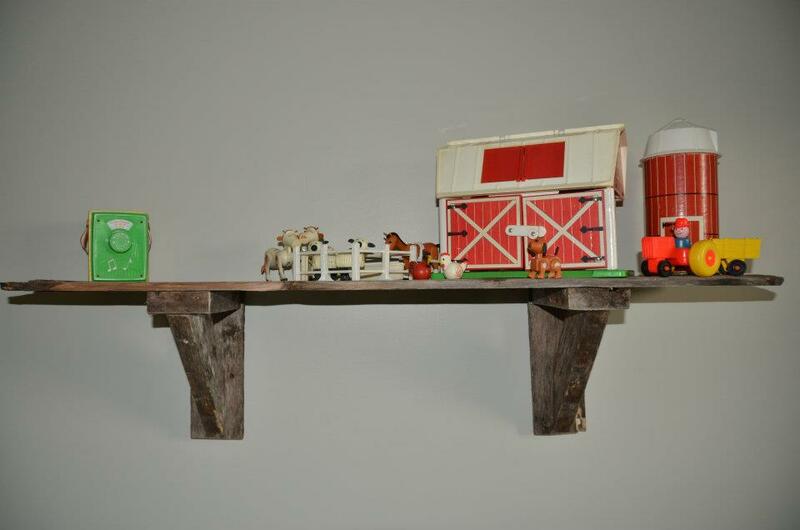 Fisher Price Farm, I remember how the doors “mooed” when you opened them.